There’s always been limited options for white chocolate lovers and being a lover ourselves we decided we needed to do something about it. 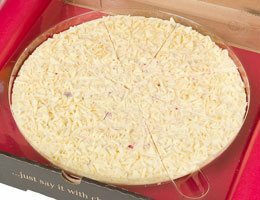 We’ve created a stunning selection of white chocolate gifts, including our speciality white chocolate pizzas. We’ve always felt chocolatiers who create white chocolate treats have a younger audience in mind when creating their chocolates, which is why we wanted to do something different. We’ve combined white chocolate with your other favourite ingredients to create scrumptious and unique chocolate designs. 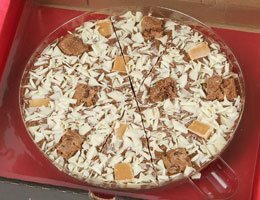 Our white chocolate pizzas combine all your favourite flavours. 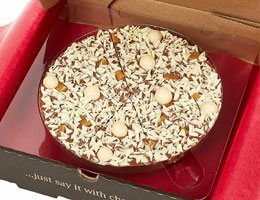 If you love fruit and chocolate combinations you need to check out our raspberrymac pizzas. Creamy Belgian white chocolate with freeze dried raspberries and amaretti biscuits, it’s a combination you wouldn’t want to miss. As is our fruit frenzy, a combination of white and milk chocolate and a variety of berries. 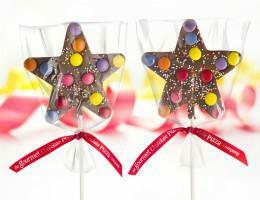 If you love sweets and chocolate are like us, you often find yourself torn between which to choose at the shop. We know that feeling all too well so we've created white chocolate pizzas topped with your favourite sweets; jelly beans, rainbow drops and much more. If you love white chocolate you need to see our range. We’ve brought the variety you always dreamed of. Various gift ideas and chocolate combinations that celebrate how amazing white chocolate is. No more limitations, treat yourself or a friend to our unmissable white chocolate range.